This unit has been in our campground since nw and one owner. The roof is new with new covers over the tip outs. 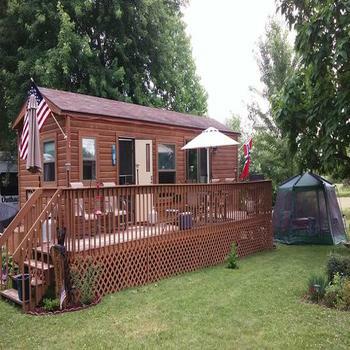 The lot has several trees on it with a large deck and nice gazebo. The awning was replaced 3 years ago. There is a large LP tank. The AC unit is set on the ground and is very efficient.